We’d love your help. Let us know what’s wrong with this preview of Sadako and the Thousand Paper Cranes by Eleanor Coerr. To ask other readers questions about Sadako and the Thousand Paper Cranes, please sign up. Why is the golden crane so speacial to her? Cathy Chan Pakyung of course its partly because it was a gift from her best friend Chizuko, but i think it's more about the fact that Chizuko, who was never a…moreof course its partly because it was a gift from her best friend Chizuko, but i think it's more about the fact that Chizuko, who was never a superstitious person, came up with the idea and folded the crane for Sadako just to cheer her up. as we know Sadako believed in good luck charms. why doesn't Sadako tell anyone about her dizzy spells? Shahaan Shaikh I have the very same answer. They had us make our own cranes when we read this during middle school. I was new to origami, but it only took a couple of minutes to make the crane. I suddenly wondered how long it would take to make a thousand. At two minutes a crane, sitting in bed and doing it for, say, eight out of my sixteen waking hours, I'd be done in less than a week. This seemed funny to me, until I read that the real Sadako did finish her thousand cranes in less then a month, and kept on folding more. But since the boo They had us make our own cranes when we read this during middle school. I was new to origami, but it only took a couple of minutes to make the crane. I suddenly wondered how long it would take to make a thousand. At two minutes a crane, sitting in bed and doing it for, say, eight out of my sixteen waking hours, I'd be done in less than a week. This seemed funny to me, until I read that the real Sadako did finish her thousand cranes in less then a month, and kept on folding more. But since the book posits that her wish was to stay alive, perhaps the author thought that to have her reach her goal and still die would be too sad. Or perhaps the author recognized that, without the dream of that wish, there would be no real story to tell. I find this disappointing, as the author could have said something more meaningful if Sadako had finished them, but still died: that no one can stand against their own death, but even as we face our own, we may fight for something greater, we may try to fight against a world of senseless death. Are we afraid to tell our children it is a fight we can never win? Does that make it less worth fighting? Wouldn't it be better for them to learn that now, from someone they trust, rather than to discover it later, when they are already in the middle of the confusions of life? What could be more disheartening than suddenly having that dream snatched away? It is a difficult question: how to breach, for our children, the concepts of death, of war, of hope, and of the inescapable. When we scale it down, to one person, to one pain, that is when we feel it the most. But when we do this, we miss out on all that surrounds it. By concentrating on one person, you can turn a mutual war into a directed crime, and there lies the danger. It is not uplifting to see a little girl die slowly, of something she cannot understand, to have her promise of a life revoked, but this is not all there is to the matter. As human beings, it is easy for us to look at the suffering of a few, especially a spectacular suffering: nuclear weapons, the Holocaust, 9/11, and feel enraged. And it should upset us. War is unequal, unfair, and makes a mockery of beauty, art, and humanity. But it is always too easy for us to forget the other side. So many people react to this book with sorrow for the little girl, with a sense that the nuclear weapons were a tragedy, unnecessary, and inhumane. But that is simply ignoring the larger story. Where are the books about all the children the Japanese soldiers killed? Even without nuclear weapons, the Japanese practiced total war, which meant hundreds of thousands of civilians dying every month. They slaughtered children, they took slaves and worked them to death in mines. They used biological weapons on Chinese citizens and killed others in nightmarish testing facilities where Japanese scientists observed the effects of poisons, chemicals, and disease on their hapless test subjects. They started the war because they were nationalists and wanted to expand, to destroy their neighbors, and to conquer the world. They refused to accept that losing was an option, and were willing to die to win. If the Allies attacked Japan itself, the Japanese planned to recruit every man, woman, and child during the final invasion, to blow up American tanks with bombs strapped to fifteen year-old boys. Even after the first atomic bomb was dropped, the Japanese command—including the Emporor—rallied to continue the war, even passing off the bombing itself as an industrial accident. I sometimes fear that by hiding from children how commonplace death really is, we do not allow them to think about death except for isolated, melodramatic stories. If we cannot learn confront death except when it spectacular, then we will never really try to stop it, because we will only focus on the rare cases, and fail to notice that death is no less final from untreated disease as from a gun. Sadako and the Thousand Paper Cranes is a children's historical novel written by Canadian-American author Eleanor Coerr and published in 1977. It is set in Japan after World War II. The short novel is a fictional retelling of the story of Sadako Sasaki, who lived in Hiroshima at the time of the atomic bombing by the United States. Sadako was 2 years old when the atomic bomb (Little Boy) was dropped on August 6, 1945, near her home by Misasa Bridge in Hiroshima, Japan. She was at home when the explosion occurred, about one mile from ground zero. In November 1954, when she was 12 she developed swellings on her neck and behind her ears. In January 1955, purple spots had formed on her legs. Subsequently, she was diagnosed with leukemia (her mother referred to it as "an atom bomb disease"). She was hospitalized on February 21, 1955, and given a year to live. After being diagnosed with leukemia from the radiation, Sadako's friend told her to fold origami paper cranes (orizuru) in hope of making a thousand of them. She was inspired to do so by the Japanese legend that one who created a thousand origami cranes would be granted a wish. Her wish was simply to live. In this retelling of her story, she managed to fold only 644 cranes before she became too weak to fold any more, and died on the morning of October 25, 1955. 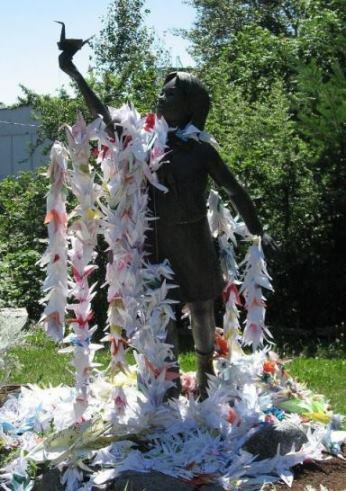 Her friends and family helped finish her dream by folding the rest of the cranes, which were buried with Sadako. However, the claim in the book that Sadako "died before completing the 1000 cranes, and her two friends completed the task, placing the finished cranes in her casket" is not backed up by her surviving family members. According to her family, and especially her older brother Masahiro Sasaki who speaks on his sister's life at events, Sadako not only exceeded 644 cranes, she exceeded her goal of 1000 and died having folded approximately 1400 paper cranes. Masahiro Sadako, says in his book The Complete Story of Sadako Sasaki that she exceeded her goal. Mr. Sasaki and the family have donated some of Sadako's cranes at places of importance around the world: in NYC at the 9-11 memorial, at Pearl Harbor, Hawaii, at The Truman Library & Museum on November 19, 2015, at Museum Of Tolerance on May 26, 2016, and the Japanese-American National Museum three days later. USS Arizona Crane Donation and President Truman Museum Donation helped by Mr. Clifton Truman Daniel who is the grandson of President Truman. After her death, Sadako's friends and schoolmates published a collection of letters in order to raise funds to build a memorial to her and all of the children who had died from the effects of the atomic bomb. In 1958, a statue of Sadako holding a golden crane was unveiled in the Hiroshima Peace Memorial, also called the Genbaku Dome, and installed in the Hiroshima Peace Park. At the foot of the statue is a plaque that reads: "This is our cry. This is our prayer. Peace on Earth." Every year on Obon Day, which is a holiday in Japan to remember the departed spirits of one's ancestors, thousands of people leave paper cranes near the statue. A paper crane database has been established online for contributors to leave a message of peace and to keep a record of those who have donated cranes. "And he prayed that his family would be protected from the atom bomb disease called leukemia." History learning has many angles, and more often than not, we tend to focus on the big, "exciting" events of wartime action, while forgetting to highlight the consequences of those actions. In times when leaders in the world seem to have forgotten the impact of the atom bombs in Japan, and seem to think that it is an actual "solution" to a pathetic macho contest, we need to step away from just giving stu "And he prayed that his family would be protected from the atom bomb disease called leukemia." In times when leaders in the world seem to have forgotten the impact of the atom bombs in Japan, and seem to think that it is an actual "solution" to a pathetic macho contest, we need to step away from just giving students the statistical details of the war. We need to show them what it really means to a society to be hit by a (comparatively small) atom bomb. I recommend this short novel to initiate a reflective discussion on the effect of careless politics on the lives of innocent children - not just immediately during the war itself, but long after "peace" has been re-established. The target age is younger Middle School, but it is well worth reading with other age groups as well. The story line is simple and straight forward, and based on a true event. A young girl, born in 1943 in Hiroshima, athletic, happy, full of plans for the future, suddenly falls ill with leukemia at age 11 and dies of the disease as a long-term effect of the atom bomb dropped on her city when she was 2 years old. She has a strong will to live, and starts folding paper cranes, as an old Japanese myth says she will be granted life if she is able to make 1,000 of them. Obviously, the myth has no power against the reality of the nuclear age, and she stands as a symbol for the many victims of the most brutal of human inventions. I strongly recommend this as required reading for the next generation, which will hopefully be more capable of empathy and imagination than the ruling patriarchy we see in power in states with nuclear weapons today. There is no excuse whatsoever for using nuclear weapons against any people. We need to get back to teaching the consequences of reckless, impulsive behaviour along with universal human rights and protection of the weak. The world is not a stage where vulgar power hungry egomaniacs should be given the right to act out their narcissism unchecked. The world is not their property, given to them to play with. Complacency in this case is complicity. This is a fictionalized account of a real-life girl in post-WWII Japan, who begins to suffer the aftereffects of radiation poisoning from the bomb that hit Hiroshima at the end of the war. Her quest to fold a thousand origami cranes begins with the gift of one gold paper crane. Sadako Sasaki is an energetic 12 year old Japanese girl, who was just a toddler in 1945 when her town of Hiroshima was hit by the atomic bomb. Now it’s 1955, and Sadako is starting to have dizzy spells. Diagnosed with leukemia, a long-term after-effect of radiation poisoning, Sadako pins her hope on the legend that if a sick person folds one thousand origami cranes, the gods will grant her wish to be healthy again. Sadako sets to work, diligently folding hundreds of paper cranes, but she’s getting weaker and weaker. It's a tearjerker of a story, bolstered by an anti-war message. Seriously, I needed several tissues for the last half of the book. Unfortunately the story is fictionalized in some key respects(view spoiler)[- most significantly, the story says that Sadako dies before she completed her goal, and that her schoolmates finished up for her; Sadako’s brother has stated that she actually folded about 1400 cranes before she died (hide spoiler)]. The book and its message are simple and straightforward. Whether or not you think the bombing of Hiroshima and Nagasaki was necessary to end WWII, it’s a powerful reminder of the cost of war and its innocent victims. The Hiroshima Peace Memorial, topped with a statue of Sadako and a crane. This is a beautiful and absolutely devastating book that everyone must read - it'll take you less than an hour. Sadako Sasaki was 12 years old when she died of leukemia. This was due to the radiation from the atomic bomb that was dropped by an American pilot in her hometown in Hiroshima, Japan during World War II. She was 2 years old then and had no memory of the war whatsoever. This 1977 book, Sadako and the Thousand Paper Cranes by Eleonor Coerr, a Canadian-American, was published twenty-two years after Sadako’s death. To explain the title, there is this belief in Japan that if you are sick, fold 1,000 Sadako Sasaki was 12 years old when she died of leukemia. This was due to the radiation from the atomic bomb that was dropped by an American pilot in her hometown in Hiroshima, Japan during World War II. She was 2 years old then and had no memory of the war whatsoever. This 1977 book, Sadako and the Thousand Paper Cranes by Eleonor Coerr, a Canadian-American, was published twenty-two years after Sadako’s death. To explain the title, there is this belief in Japan that if you are sick, fold 1,000 paper cranes and you will get well. According to this book, Sadako Sasaki was only able to fold 644 before her death. Sadako's name is Japanese for "chaste child" (sada: chaste and ko: child). I am not sure if Sadako is a common name in Japan but I thought that the novelist Koji Suzuki who wrote the book The Ring (Ringu) somewhat dishonored the memory of Sadako Sasaki but naming his antagonist based on a well-loved symbol of world peace in Japan. I might be mistaken though because Mary (or its variants like Maria, Mari, Marianne or Marie) is so common that many people, regardless whether saints and sinners, have adopted or affixed the Mother of God's name to his or her own. Anyway, this is a thin and easy to read book basically relating the last 9 months or so of Sadako Sasaki’s life on earth. Heartfelt story with a subtle message from Japan to America when the author, a Canadian-American, wrote this line: “We keep on saying that we remember Pearl Harbor. Remember Pearl Harbor. However, let’s not forget Hiroshima and Nagasaki.” Prior to the start of my reading, I knew that this was a sad story. However, I thought that the book’s 63 pages were too few for Coerr to be able to fully develop her characters so I would be able to forge sympathy with any of them. I was wrong. That portion when the dying Sadako was hearing her mother’s rubber slippers was able to squeeze few drops of tears from my eyes literally. Normally, when a book is so good that it was able to make me cry or laugh, I automatically give it a 5-star rating. However, I am giving this a star less. Reason is that I have a newer and more comprehensive version of Sadako Sasaki’s story, 1997-published book by Takayuki Ishii’s One Thousand Paper Cranes and he debunked several aspects of Coeer’s version. We did a play of this when I was in primary school and I remember even back then feeling a lot of sadness over it. Also a lot of frustration that I never mastered the art of folding paper cranes. A good insight for kids. This is an amazing book, one that will stay with me as an all time favourite at school. When you can remember reading it as a youngster and when that can evoke further memories, that means it's made a true impact. کم پیش میاد که من کتابی رو چند بار بخونم. ولی ساداکو درباره ی همه چیز استثناست. اولین بار که خوندمش خیلی کوچیک تر از این حرفا بودم که همه چیز این کتاب رو بفهمم، دوم دبستان بودم به نظرم، ولی ناراحت شدم و گریه کردم. دفعه ی بعد، اول راهنمایی بودم، کاملاً درکش کردم.دوباره گریه کردم، شاید بیشتر از قبل. دفعه های بعد، تا همین حالا، هر بار که می خونمش با تمام وجود ناراحت می شم؛ با تمام وجود درک می کنم، ولی هیچ وقت دوباره گریه نکردم. + ممنون از پارمیدای عزیزم که باعث شد برای نمی دونم چندمین بار بخونمش، و کم پیش میاد که من کتابی رو چند بار بخونم. ولی ساداکو درباره ی همه چیز استثناست. اولین بار که خوندمش خیلی کوچیک تر از این حرفا بودم که همه چیز این کتاب رو بفهمم، دوم دبستان بودم به نظرم، ولی ناراحت شدم و گریه کردم. دفعه ی بعد، اول راهنمایی بودم، کاملاً درکش کردم.دوباره گریه کردم، شاید بیشتر از قبل. Author S. Ramakrishnan talk about this book in his book "Aadhalinal". So I wanted to read this book. The story talks about Sadako, a Japanese girl, who was full of life and wanted to run and participate in races. Because of the atomic bomb explosion during world war, the radiation infection affected many people over decades. Sadako was one of the victim and admitted into hospital for cancer. Her best friend gave her a golden paper crane and told her that if she madee thousand paper cranes, then Author S. Ramakrishnan talk about this book in his book "Aadhalinal". So I wanted to read this book. The story talks about Sadako, a Japanese girl, who was full of life and wanted to run and participate in races. Because of the atomic bomb explosion during world war, the radiation infection affected many people over decades. Sadako was one of the victim and admitted into hospital for cancer. Her best friend gave her a golden paper crane and told her that if she madee thousand paper cranes, then she would recover. She drastically lose her strength and couldn't complete.... After her death, her friends from school make the remaining cranes and bury them with her. Before reading Sadako and the Thousand Paper Cranes, I had two misconceptions about the story. First, my image of Sadako in the story was the same with the scary and long-haired Sadako of The Ring and The Grudge. Second, I thought the cranes were those large equipments used for lifting heavy objects like those used in construction sites. 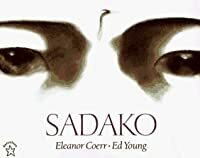 After reading reviews about the book, however, I realized that the Sadako in Eleanor Coerr’s book is a true story of a girl in Japan who died at the age of 12. A Before reading Sadako and the Thousand Paper Cranes, I had two misconceptions about the story. 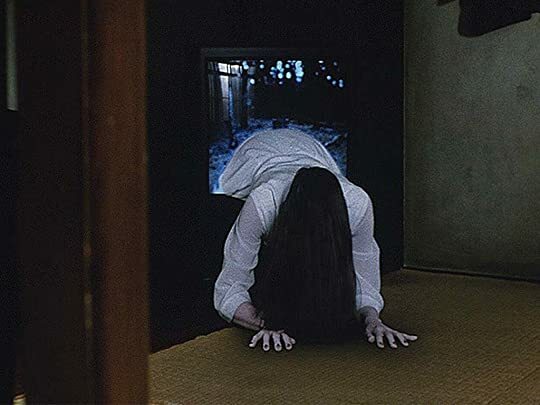 First, my image of Sadako in the story was the same with the scary and long-haired Sadako of The Ring and The Grudge. Second, I thought the cranes were those large equipments used for lifting heavy objects like those used in construction sites. After reading reviews about the book, however, I realized that the Sadako in Eleanor Coerr’s book is a true story of a girl in Japan who died at the age of 12. And that the cranes referred to are not machines but a type of long-legged and long-necked birds. Sadako and the Thousand Paper Cranes is a touching short story, only 65 pages in all, that can make you smile and teary-eyed at the same time. It is a story that tells of the tragic aftermath war and how most often, in war, it is the children who suffer the most. My copy of the book comes with apt illustrations by Kazuhiko Sano and towards the end part of the book is a tutorial on how to fold a paper crane. Out of curiosity, I decided to follow the instructions but couldn’t get past step 16 (there are 33 steps). Either the instructions are inaccurate, or I just don’t have the patience to follow instructions carefully. Whatever it is, I find folding paper cranes a tedious task especially to a little girl suffering from leukemia who has to battle weakness and dizziness, not to mention swelling of some body parts. Sadako Sasaki is indeed a symbol of resilience, hope and courage and her story reminds me to be persistent and strong despite all odds, not to mention figuring out how to finish my own Origami crane. I strongly recommend Sadako and the Thousand Paper Cranes by Eleanor Coerr to everyone, both young and old. It is a quick and easy read but one you cannot forget for a long time. I watched BAREFOOT GEN last week and what an wonderful anime movie it was! It compelled me to read something about the Hiroshima-Nagasaki Bombing and thanks god we are blessed with mighty internet which lead me to this heart breaking beautiful book. It's a true story about a girl named Sadako who was 2 years old when the atomic bombing happened in Japan.She and her family survived the bombing but 10 years after she was victimized of Leukemia and her BFF told her to make 1000 paper cranes which i I watched BAREFOOT GEN last week and what an wonderful anime movie it was! It compelled me to read something about the Hiroshima-Nagasaki Bombing and thanks god we are blessed with mighty internet which lead me to this heart breaking beautiful book. It's a true story about a girl named Sadako who was 2 years old when the atomic bombing happened in Japan.She and her family survived the bombing but 10 years after she was victimized of Leukemia and her BFF told her to make 1000 paper cranes which is believed to end one's sufferings if one was sick. Sadako found hope and started making paper cranes with her finger which was losing energy to fold paper day by day. Did sadako able to finish making 1000 paper cranes? did she survive? Did she succeed to transfer her hope to others? these questions will only be answered after someone finished reading this tiny sized book. Sadako and the Thousand Paper Cranes by Eleanor Coerr is a Children's non- fiction literature. Sadako a small girl lives Hiroshima, and a sports star in her school. While participating in a running competition she felt dizzy and worst race begins in her life. What happens next? What’s the worst race she is facing in her life? Lies the suspense of the story. 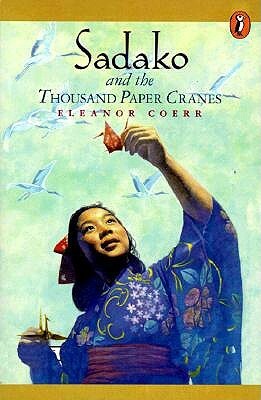 This book is based on a true event that happened in Hiroshima, after the bomb blast leading several people life’ Sadako and the Thousand Paper Cranes by Eleanor Coerr is a Children's non- fiction literature. This book is based on a true event that happened in Hiroshima, after the bomb blast leading several people life’s in misery. Sadako is one of the victims, who struggles a lot to overcome this misery. But her fate plays a vital role. The story is a short bite and left me in tears. I liked Sadako and Chizuko’s character very much, the interaction between the two friends were admirable. I would recommend this book to all readers who loves short story. My rating is 5 stars for this beautiful literature. Being a bright & active girl, Sadako was beside herself when she was selected to be in the track team. But her happiness short lived as the symptoms of the feared diseases started to show up. Based on a true story about a girl in Hiroshima, the story got me teared up a bit towards the end. The strong spirit showed by Sadako is really admirable. Every child need to read this and learn the consequence of war. I distinctly remember sitting in the library in elementary school and the librarian showing us this book along with some other books the school library had just gotten. After she finished talking we all clamored up to the check out desk to put our names on the list for this book-I couldn't wait to read it. I read this and cried and read it again and cried-and I'm sure probably again after that. Sadako is a young girl (10 or 12 I think) who has lived through the bombing of Hiroshima. She remembers I distinctly remember sitting in the library in elementary school and the librarian showing us this book along with some other books the school library had just gotten. After she finished talking we all clamored up to the check out desk to put our names on the list for this book-I couldn't wait to read it. I read this and cried and read it again and cried-and I'm sure probably again after that. Sadako is a young girl (10 or 12 I think) who has lived through the bombing of Hiroshima. She remembers the flash of light from the bombing and has lived her whole life being frightened of the burn scars carried by many. Sadako winds up getting sick from the exposure to the bomb and ends up in the hospital. 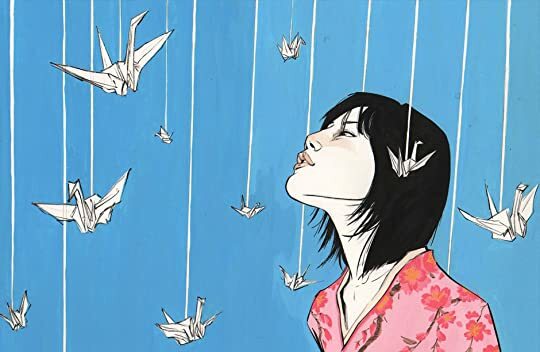 She hears about a Japanese legend that says that anyone who makes 1,000 paper cranes will be granted a wish and sets about trying to make the cranes and get better. Read with my daughter...through streams of tears. I will never look at or think about paper cranes and not remember her young brave soul. Me emocionó mucho este libro, lo agarre de casualidad del desorden de mi hermana y no me arrepiento. Léanlo, es breve pero da otra perspectiva de lo sucedido el Hiroshima. Buku ini mengisahkan kisah benar yang berlaku kepada seorang kanak-kanak yang menghidap leukimia pasca pengeboman di Hiroshima pada awal tahun 1940-an. Seorang kanak-kanak perempuan bernama Sadako, lahir dan membesar sebagai anak yang cerdas, ceria dan mempunyai kelebihan dalam olahraga. Diceritakan kehidupannya dalam keluarga Jepun yang bahagia dan berpegang kuat kepada budaya masyarakat. Setiap hari mereka berdoa agar dijauhkan da Bismillahirrahmanirrahim. Seorang kanak-kanak perempuan bernama Sadako, lahir dan membesar sebagai anak yang cerdas, ceria dan mempunyai kelebihan dalam olahraga. Diceritakan kehidupannya dalam keluarga Jepun yang bahagia dan berpegang kuat kepada budaya masyarakat. Setiap hari mereka berdoa agar dijauhkan daripada penyakit leukimia (kerana majoriti rakyat Jepun meninggal kerana penyakit ini kesan bom atom di Hiroshima). Ya, siapa sangka, takdir tuhan menetapkan sesuatu itu pasti terjadi kepada sesiapa yang dikehendaki-Nya. Sadako jatuh pengsan ketika menjalani latihan olahraga di sekolahnya. Dibawa ke hospital oleh bapanya dan doktor mengesahkan beliau menghidap leukimia. Sedih sekali. Namun saya memuji rakan baiknya kerana memberikan semangat dengan cara yang unik. Mengikut kepercayaan orang Jepun, jika seseorang membuat 1000 keping lipatan burung jenjang (origami), maka tuhan akan memberikan keajaiban dan kesihatan. Sedikit sebanyak ia menyuntik semangat kepada Sadako untuk menerima keadaan dirinya dan berharap agar dia dapat sembuh. Saya terfikir berapa lama masa diambil bagi menyiapkan 1000 keping burung jenjang? Mungkin boleh cuba selepas ini. Hihi..
Sadako hanya mampu menyiapkan 644 keping dan beliau pergi untuk selama-lamanya. Kisahnya menjadi inspirasi kepada semua rakyat Jepun dan rakan-rakan sekelasnya menyelesaikan baki 356 keping lagi dan dikebumikan (kesemua 1000 keping) bersama Sadako. Atas inisiatif mereka juga, surat-surat Sadako dibukukan dan disebar ke serata Jepun. Malahan origami burung Jenjang dikenali di seluruh dunia sebagai lambang keamanan. Pertama kali saya mengenal origami burung Jenjang ketika berada di sekolah menengah apabila melihat adik membawa pulang dari sekolah. Namun, serius saya katakan saya sangat lemah dalam mengingat langkah demi langkah membuatnya. Rasanya menganyam ketupat lebih mudah bagi saya. Huhu. A wonderful and moving story of a young girl, Sadako, sickened with leukemia due to radiation effects of the atomic bomb dropped in Hiroshima, Japan in World War II. Also relating the Japanese legend of folding 1,000 paper cranes to the gods for good health, which Sadako pursued. She died before completing the thousand but her friends from the bamboo class completed the thousand in her honor and produced a compilation of her letters and journal to make a book they called Koheshi (where the author based this story) . As her story became known, more friends were inspired to build a monument to honor her and all children who were killed by the atom bomb. The monument was unveiled in 1958 which engraved a wish ... This is our cry, this is our prayer; peace in the world. Sadako's story and symbol for peace is heartwarming (get your tissue box ready) but I don't think the author fully captured her story. I was left saying ... "That's it?!". I understand that this is a book for young readers but even then it wasn't personal enough. It felt like the prologue and epilogue was the main attraction. I sure would love to read Koheshi!! ~By the way, there is a step-by-step guide of how to fold a paper crane at the end of the book. On a personal note, this is a book I'm passing to my son who enjoyed making paper cranes along with his Cub Scout buddies for our local humanitarian group (who presented 1200 cranes to the museum for their exhibit. Their goal is to receive 92,785 peace cranes – one to represent each Japanese-American that was put in an internment camp during World War II). Snapshot: A short, simply written narrative about a young girl affected by the nuclear bombs dropped in Japan during WWII. As she is diagnosed with Leukemia, Sadako believes that by creating 1000 paper cranes she will stave off inevitable death. The story is about her hope, perseverance, love, and untimely death. Hook: The book is short and very accessible to ELLs. As one studies the themes of war and its aftermath, Sadako offers an interesting perspective--she is suffering the consequences of a Snapshot: A short, simply written narrative about a young girl affected by the nuclear bombs dropped in Japan during WWII. As she is diagnosed with Leukemia, Sadako believes that by creating 1000 paper cranes she will stave off inevitable death. The story is about her hope, perseverance, love, and untimely death. Hook: The book is short and very accessible to ELLs. As one studies the themes of war and its aftermath, Sadako offers an interesting perspective--she is suffering the consequences of a war that she barely lived through. This book also speaks to the idea of crafting to a certain extent--making something with one's hands and working together toward a goal. This edition even includes instructions for making one's own paper cranes. Challenges: Books with themes of war and death always pose difficulties and can strike too close to home. There is a danger of some students thinking this book is too easy, but I would not recommend it to them. The cultural traditions in the novel might be foreign as well, but I would include conversations on that in conferences. Students in Mind: Low-level English Language Learners. While the story is about a younger girl, I think older students would still find the story compelling and relatable. The language is accessible (probably targeting 5th-6th-grade range for native English speakers), and the story is straightforward. The edition I read even included a few illustrations. Conference notes: What are some of the cultural traditions in Sadako's family? Why does Sadako believe in making the thousand cranes? Do you think she would have lived if she could have finished making all the cranes? Is there anyone you would like to make a crane for? I would also like to have a discussion about themes of war and how people deal with the aftermath long after. 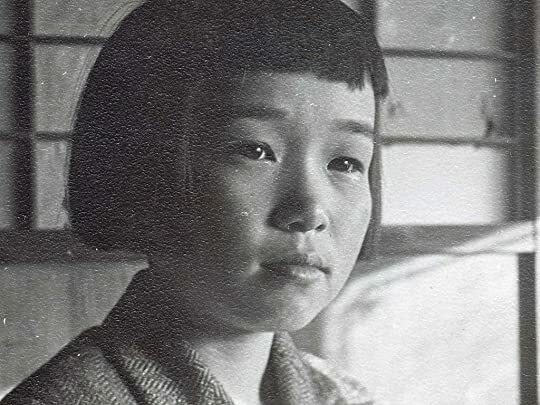 At age two, Sadako Sasaki was a survivor of the bombing of Hiroshima. When she contracted leukemia from the radiation, she began folding origami cranes. A Japanese legend contends that if a person folds 1,000 paper cranes then their gods will grant that person one wish. Upon reading this book, sometimes adults get wrapped up in historical debates. I've heard some people decry the American bombings, while others criticize Japan's expansionist agenda. I think this book is very open about its pacifi At age two, Sadako Sasaki was a survivor of the bombing of Hiroshima. When she contracted leukemia from the radiation, she began folding origami cranes. A Japanese legend contends that if a person folds 1,000 paper cranes then their gods will grant that person one wish. Upon reading this book, sometimes adults get wrapped up in historical debates. I've heard some people decry the American bombings, while others criticize Japan's expansionist agenda. I think this book is very open about its pacifist message. Quick, easy read written at a juvenile level. I liked the story and feel it is a great gateway in to many discussions about war, whether using atomic bombs was a moral thing to do, the long term consequences of our decisions. I just read a review stating that the real Sadako finished her 1,000 paper cranes while in this book has her dying (that is not really a spoiler because the prologue lets us know that the little girl dies) before she finishes her cranes. If that is true this book is getting Quick, easy read written at a juvenile level. I liked the story and feel it is a great gateway in to many discussions about war, whether using atomic bombs was a moral thing to do, the long term consequences of our decisions. I just read a review stating that the real Sadako finished her 1,000 paper cranes while in this book has her dying (that is not really a spoiler because the prologue lets us know that the little girl dies) before she finishes her cranes. If that is true this book is getting one star because the cranes are a central theme in the story. So ... Wikipedia states that the real Sadako finished her cranes ... I need to read some more to get the real story. I stil gave this book a couple of stars because it did have a lesson, but I am so disappointed that the ending is so drastically different from the real events. A quick read, bot dis one at national bookstore summer sale shelves. OMGASH! I cried reading this book! super tearjerker! nakka touch tlaga! Akala ko si SADAKO sa horror movies lang but she was a real girl pala. This is based on a true story and it has touched a lot of people young and old. She was just 12 when She died of Leukemia because of the effects of radiation by the Hiroshima Bomb. At the hospital, during her last days, she was making paper cranes, a sign of good health and long life for A quick read, bot dis one at national bookstore summer sale shelves. 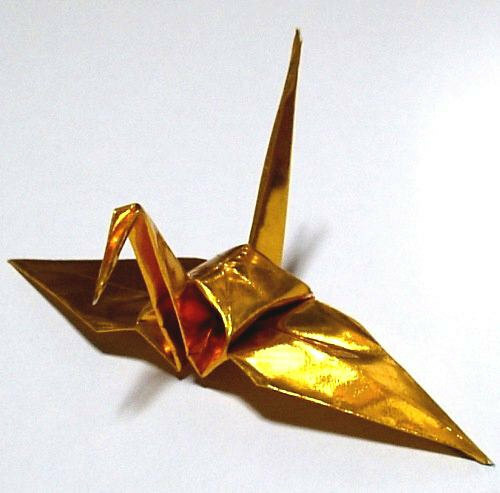 At the hospital, during her last days, she was making paper cranes, a sign of good health and long life for the Japanese, the first Golden crane given to her was by her bestfriend, Chizuko and it said that if you make a thousand, your wish will come true. A very beautiful but sad story of a young girl who dies of leukemia after experiencing the atom bomb being dropped on Hiroshima during WWII. 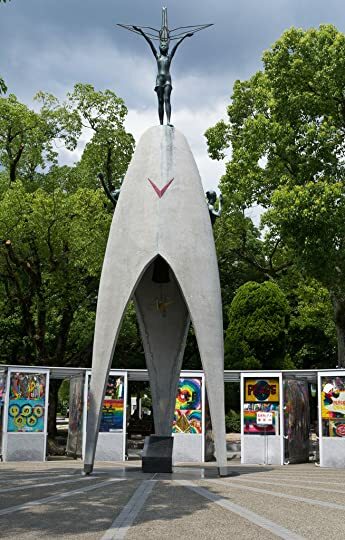 However, she becomes the inspiration for a monument that has been built at the Hiroshima Peace Park honoring her and all the children who were killed by the atom bomb. I have seen this monument and the paper cranes that have been made to commemorate those lives lost during that horrific time. It is a very emotional experience. Eleanor Coerr was born in Kamsack, Saskatchewan, Canada, and grew up in Saskatoon. Two of her favorite childhood hobbies were reading and making up stories. Her fascination with Japan began when she received a book called Little Pictures of Japan one Christmas. It showed children in beautiful kimonos playing games, chasing butterflies, and catching crickets. She pored over the colored illustrations Eleanor Coerr was born in Kamsack, Saskatchewan, Canada, and grew up in Saskatoon. Two of her favorite childhood hobbies were reading and making up stories. Her fascination with Japan began when she received a book called Little Pictures of Japan one Christmas. It showed children in beautiful kimonos playing games, chasing butterflies, and catching crickets. She pored over the colored illustrations, dreaming of one day joining those children in Japan. Her best friend in high school was a Japanese girl whose family introduced her to brush painting, eating with chopsticks, and origami. Eleanor's desire to visit that magical place never faded, and her well-thumbed copy of that favorite book is still in her library. Eleanor began her professional life as a newspaper reporter and editor of a column for children. Luckily, she traveled to Japan in 1949 as a writer for the Ottawa Journal, since none of the other staff wanted to go to a country that had been devastated by war. To learn Japanese, Eleanor lived on a farm near Yonago for about one year, absorbing the culture and enjoying rural celebrations. Soon she was able to visit nearby schools and speak to young audiences about her country. Eleanor wrote and illustrated Circus Day in Japan, using the farm family and a visit to the circus as models. It was published in Tokyo in 1953. Her most difficult trip while she was in Japan was to Hiroshima. Eleanor was shocked by the horrible destruction and death caused by one atom bomb. Of course, she did not know Sadako Sasaki at that time, although she was living there with her family. The misery and suffering Eleanor witnessed was burned into her mind, and she hoped future world leaders would avoid wars at all costs. One beautiful day in 1963, Eleanor revisited Hiroshima and saw the statue of Sadako in the Hiroshima Peace Park. Impressed by the stories she heard about Sadako's talent for running, courage when faced with cancer, and determination to fold one thousand paper cranes, Eleanor was inspired to find a copy of Kokeshi, Sadako's autobiography. Eleanor looked everywhere she could think of and asked all of her Japanese friends to help. Since the school had copied the ninety-four pages and stapled them together, most of the books had fallen apart. Years passed, and Eleanor continued writing for newspapers in various countries and wrote more children's books. But she was always hoping to find Kokeshi. One fateful afternoon, Eleanor was having tea with a missionary who had lived in Hiroshima all through the war. "Eleanor," she said, "you should write a biography of Sadako Sasaki for American children to read." "I would love to," said Eleanor, "but I must have Kokeshi to get all the true facts about Sadako." The missionary took Eleanor to her attic. Lo and behold, at the bottom of an old trunk was an original copy of Kokeshi. Eleanor rushed to have it translated properly and began writing Sadako and the Thousand Paper Cranes as soon as she could.